In 1989 MAM was established within Great Britain, and is now sold all over the world in over 50 countries. The Feeding Bowl is recommended for use from 6months. The bowl consists of two compartments for storing different types of food all within a single bowl. Perfect for when you want to go out as it reduces the amount of items taken with you. It also has a small handle for the parent to hold for ease when feeding. The bowl also comes with an air-tight lid allowing convience when travelling whilst also being hygenic. 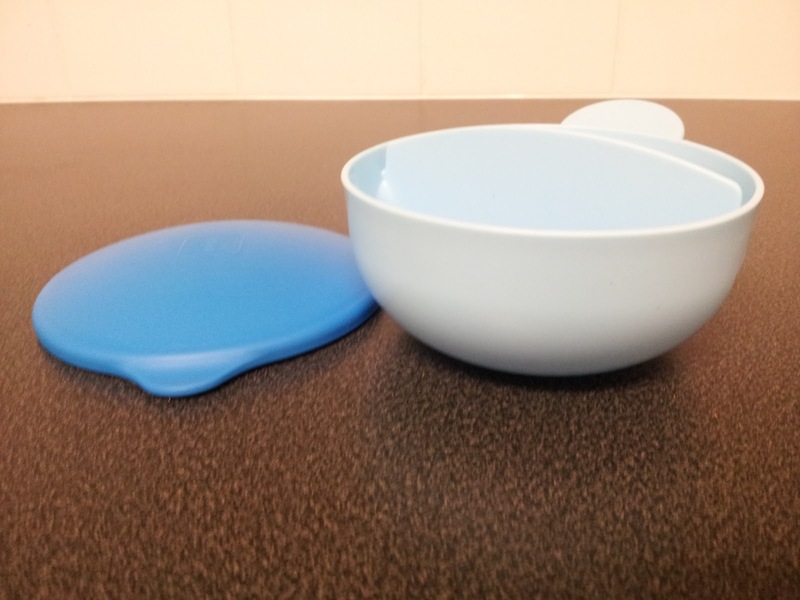 As with all MAM products, the bowl is suitable for Microwave, Freezer and Dishwasher safe as well as being BPA free. 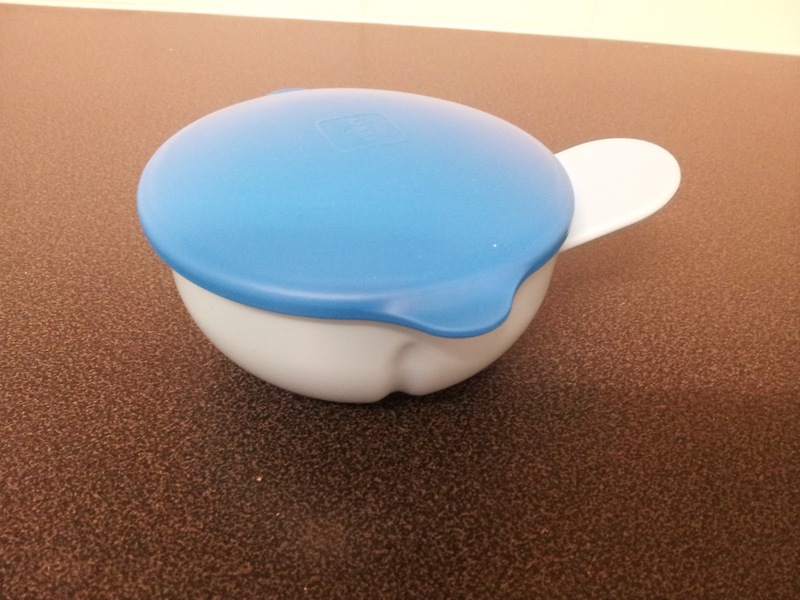 Overall, I found the bowl really useful, the two compartments meant I could carry both a main meal and a pudding. 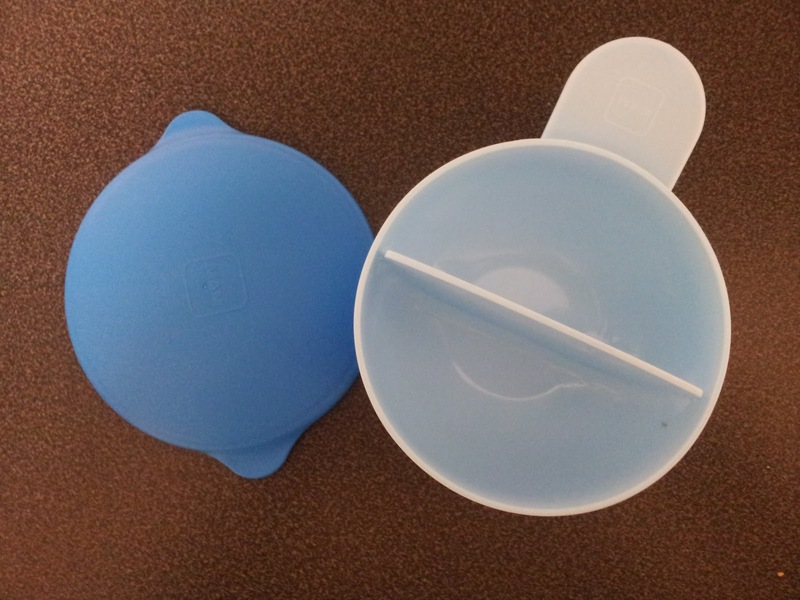 The lid meant I could use the bowl when we go out during a meal time; keeping the food fresh and easily stored. However, the divider within the middle of the bowl does not reach the top of the lid so if you place liquids or puree's within the bowl there is a chance of it going into the next compartment. Luckily, the bowl was kept upright at all times so this didn't happen to us. For the meal size in which Jack has I feel the compartments were adaquate but aimed a little more at babies beginning to wean or just establised. It is certainly not aimed at a child with a larger appetitie. I did also find it great for storing snacks which may be a benefit to older children. 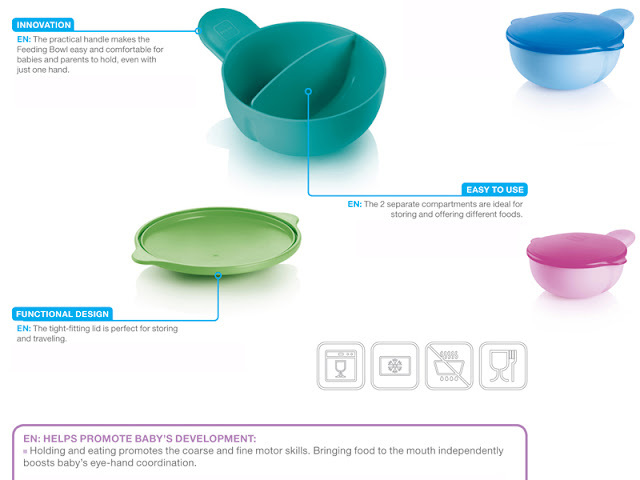 The handle which is on the bowl makes it easy for the parent to hold to serve the food. 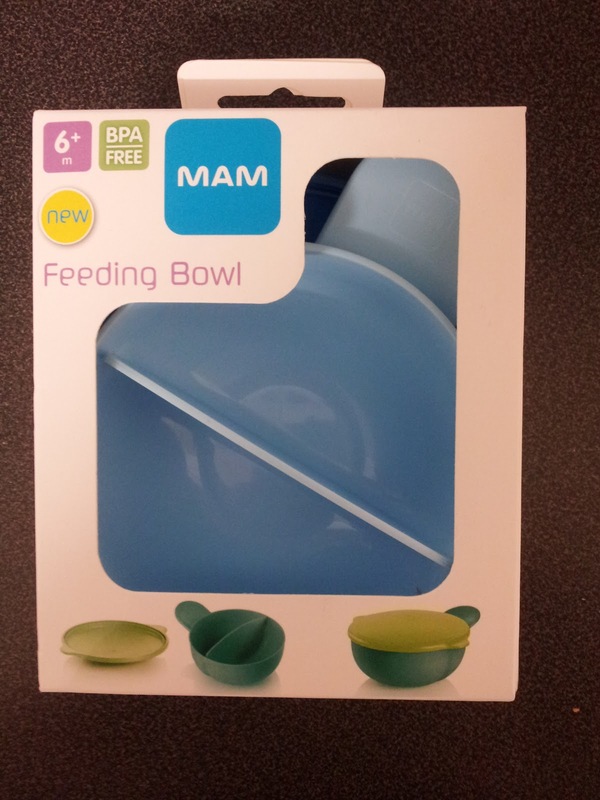 The MAM Feeding Bowl retails at £5.99 and comes in a range of three colours. Please Note. This product was sent to me by MAM for the purpose of this review, all opinions and wording are my own.